Thank you for all of you who came to the Vigil yesterday to support the families of the missing boys from San Francisco ~ Crishtian Hughes, Shawn Dickerson, Cameron Remmer, Jackson Miller and our son Sean. It was heart breaking to hear the parents speak about their missing sons. We need to keep the awareness of these missing boys alive ~ each of these boys deserve to be brought home safely to their families. As difficult as it continues to be each and every day for us, we must continue our search. We certainly appreciate everyone's help. With your help, we have been able to expand our outreach of Sean's disappearance throughout several western states. Thank you. Despite several searches by hundreds of people, and the distribution of over 30,000 missing person fliers, Sean has still not been located. The Sidi Family continues to move forward in hopes of finding their son. They have announced that they will be holding a “Joint Awareness Vigil” this coming Saturday, September 14th @ 2:00pm with 4 other families who also have sons missing from San Francisco. Please join us if you can. Come hear the families speak about their on-going search for their missing sons, and what – if anything – San Francisco Police is doing to help locate these young men. 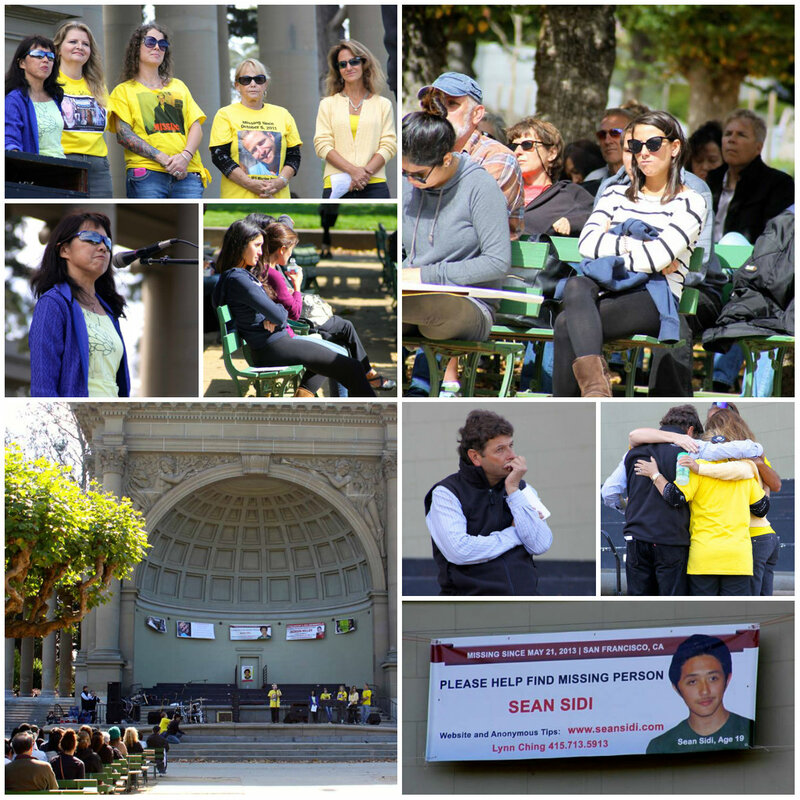 WHEN: Saturday, September 14, 2013 at 2:00 p.m.
WHY: The purpose of the Joint Awareness Vigil is to raise public awareness of the families’ desperate search to locate their sons, ALL of whom went missing in San Francisco: Sean Sidi (19 yrs old, missing May 21, 2013); Chrishtian Hughes (20 yrs old, missing February 7, 2013); Shawn Dickerson(age 24, missing December 2, 2011); Cameron Remmer (31 yrs old, missing October 6, 2011); Jackson Miller (23 yrs old, missing May 15, 2010). Why are so many young men missing from San Francisco? What is San Francisco Police doing to help the families locate their sons? Do missing boys in San Francisco get less attention from law enforcement than missing girls? For continued updates on Sean, you may visit either Facebook or the website http://www.facebook.com/findseansidi and http://www.seansidi.com. 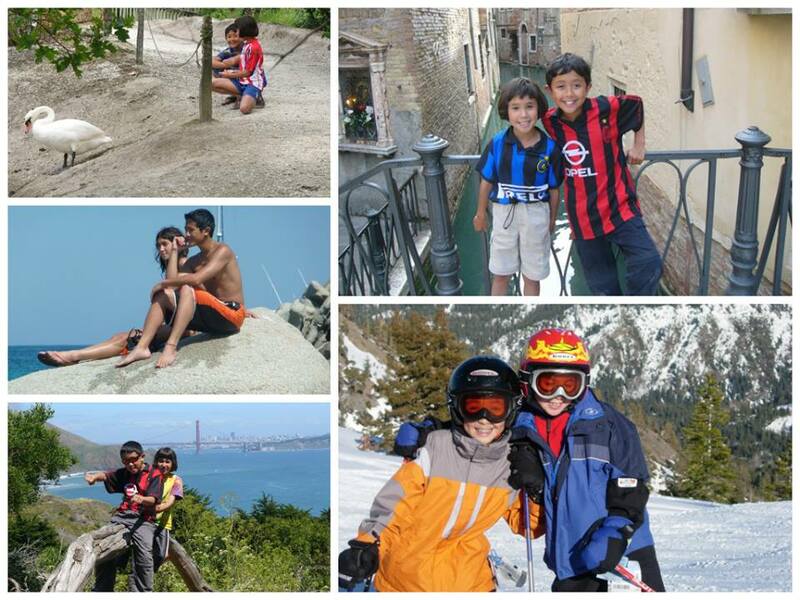 And for more information, you may contact Lynn Ching (Sean Sidi’s mom) 415-713-5913. The Sidi’s greatly appreciate your continued support, as your support gives them strength to continue their search for Sean. This week, we (Sean’s parents) viewed 2 video surveillance tapes based on tips provided by the public. The persons calling in the tips noted the exact location of “Sean” and advised us that there was a surveillance camera on the route that “Sean” walked. While the ‘tips’ were NOT Sean, video surveillance was an effective way of confirming this information. The tips are not as frequent as before, however, this may be attributed to the fact that the San Francisco Police’s telephone number was added to Sean’s flier after the REWARD was announced in late July. We have recently REVISED Sean’s flier to include our telephone number as the primary “TIP CALL IN” number (see below). 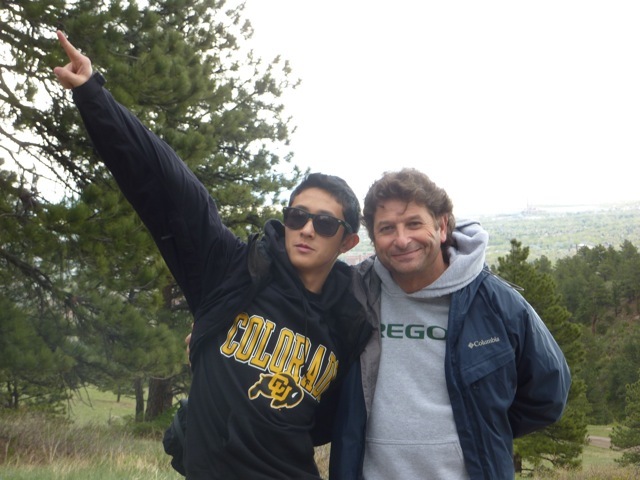 Next week, volunteers will be searching the Tenderloin District in San Francisco, for Sean. In hopes of generating more tips, the volunteers will be POSTING Sean’s NEWEST FLIER. The NEWEST FLIER uses our (Sean’s parents) telephone at 415.713.5913 as the “TIP” call in number. We did this because several people reported that no one answered the telephone when they called San Francisco Police to report a tip! Also, it is uncertain whether San Francisco Police follows up on every tip. Unfortunately, we still have not found Sean. The REVISED FLIERS make this clear, with the heading, “STILL MISSING”. - SEAN HAS BRIGHT SILVER BRACES ON HIS TEETH!!!!!! - SEAN will probably have “BIG HAIR”. Sean’s hair is wavy and gets ‘puffy’ as it grows. - SEAN will likely be confused and disoriented. Put Sean’s picture and our telephone number (415.713.5913) in your cell phone. 1. CALL US (Sean’s parents) at the number on the POSTER anytime - at (415.713.5913). San Francisco Police will NOT follow up on ALL TIPS. WE WILL. If you don’t have our number, call 9-1-1. San Francisco Police are well aware of the search for Sean. 2. Note the precise information: street location (and cross streets), the exact time that you spotted Sean (this may help if there are surveillance cameras nearby); description of clothing Sean is wearing, whether another person is accompanying Sean, whether Sean is carrying anything such as a bag or backpack. If you can, stay with “Sean” until help arrives. HELP INCREASE TIPS, by posting Sean’s NEWEST FLIER with the NEW TIP CONTACT NUMBER - 415.713.5913. This will ensure that ALL tips are checked out. Even posting 1 or 2 fliers a day helps. Email lynnkching@yahoo.com for fliers, or download from www.seansidi.com or facebook.com/findseansidi. SEAN MAY BE UNRECOGNIZABLE AT FIRST GLANCE. LOOK CAREFULLY at each person laying on the ground or walking around – IT MAY BE SEAN!!! 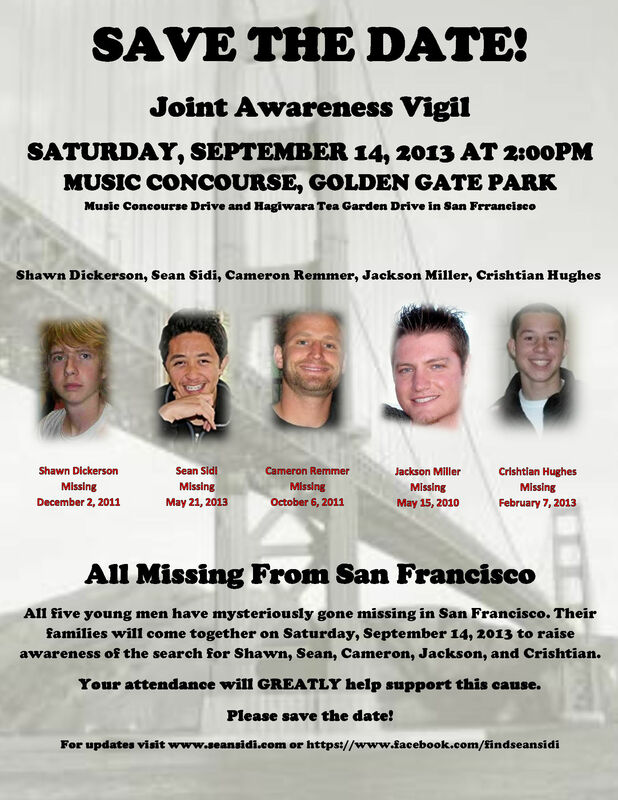 Attend the ‘Joint Awareness Vigil’, Saturday, Sept 14, 2013 at 2 pm, Music Concourse at Golden Gate Park. Sean Sidi with father Claude Sidi. 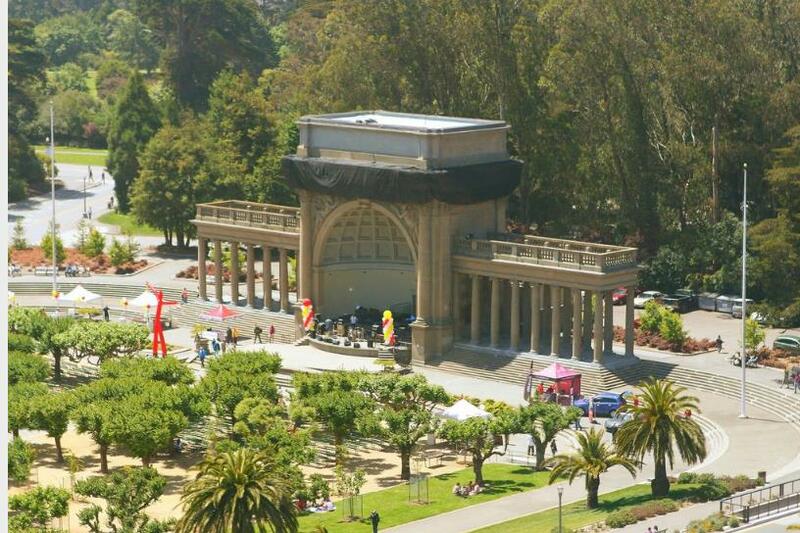 WHERE: MUSIC CONCOURSE (“THE BAND SHELL”) AT GOLDEN GATE PARK (SAN FRANCISCO) - LOCATED NEXT TO THE ACADEMY OF SCIENCE. HELP SPREAD THE WORD ABOUT THE DESPERATE SEARCH TO LOCATE SEAN AND 3 OTHER BOYS WHO WENT MISSING IN SAN FRANCISCO: JACKSON MILLER, CHRISHTIAN HUGHES & SHAWN DICKERSON. SEAN, JACKSON, CHRISHTIAN AND SHAWN CANNOT BE FOUND IF PEOPLE DO NOT KNOW THEY ARE MISSING. THE FAMILIES WILL TALK ABOUT THEIR CONSUMING EFFORTS TO LOCATE THEIR SONS, THE ROLE OF LAW ENFORCEMENT THUS FAR, AND HOW YOU CAN HELP. YOUR ATTENDANCE WILL GREATLY HELP RAISE PUBLIC AWARENESS ABOUT THE SEARCH FOR ALL 4 BOYS. This weekend Dylan LaMadrid and friends took the search for Sean to Sacramento! The Sacramento Bee and Fox 40 news reported on the desperate search to find Sean. Thank you Dylan and ALL for helping us and for using Sean's newest flier. The new telephone numbers on Sean's NEWEST flier will ensure that ALL tips are checked out. It only takes "one" right tip to find Sean!!!!! Dylan LaMadrid (second from left), with friends who volunteered to search for Sean in Sacramento, CA. There is not a minute that goes by where we do not think of Sean and miss him so much it hurts… his smile, jokes and sweetness. Below is a picture that captures some of Sean’s essence. 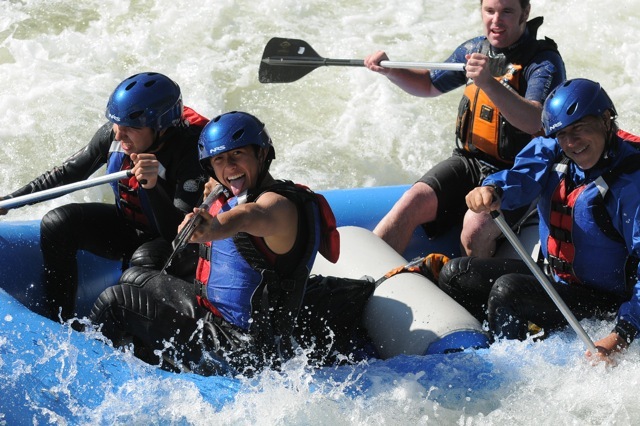 In this picture, Sean is white water rafting on a Class 4 rapid on the American River with Claude (Sean’s dad), good friend Jordan Malik, Phil Malik (Jordan’s dad) and 2 or 3 other people. The river is swift, and Claude has just fallen overboard. Through all the chaos, Sean (along with co-ham Phil) finds time to purposely turn to the camera and SMILE! We want so desperately to find Sean. We know that we cannot do it alone and we will only find Sean if EVERYONE knows that Sean is missing and urgently needs medical care.